I recently started really listening to, and appreciating Bob Dylan. A couple of years ago Kyle bought me Blonde on Blonde, and I instantly fell in love, although I recognized a hand full of songs from being obsessed with the "oldies" radio station as a child. 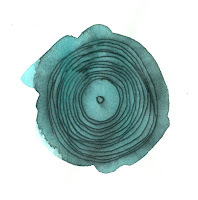 This was Dylan's first "electric" album, and a departure from his folk albums which his audience had grown to love him for. 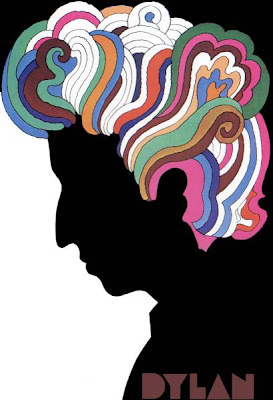 Last night I spent some time listening to Bringing It All Back Home which came before Blonde on Blonde (with Highway 61 Revisited between the two) which is a great album and worth a good listen even for a non Dylan lover. side note: Glaser also designed the "I (heart) New York" logo in 1973 for the new york state department of commerce. It became the most frequently imitated logo design in human history... yea that's right! 2- This awesome (and fun) book created by Frank Chimero, where he compares his sihouette to a couple of other famous ones (including Bob Dylan). Good Fun. 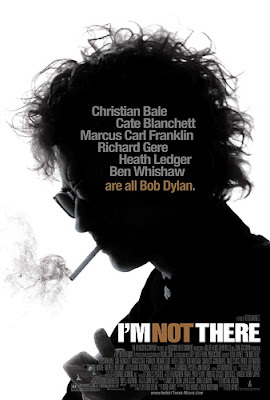 3- Im Not There the 2oo7 film where 6 characters embody a different aspect of Dylan's life and work including Christian Bale, Cate Blanchett, Richard Gere, and Heath Ledger, just to name a few. I had the pleasure of seeing the film last Christmas while in Athens, at CINE. It was not widely released in theaters, I think it only showed in Austin for the whole state of Texas! BUT it is worth seeing... and I know net flix has it so check it out! ...and that concludes my randomness about Bob Dylan for the day.